2017 Camo Outback in excellent condition loaded with upgrades and extras! 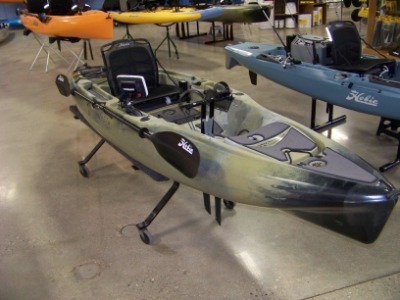 It has everything you need for some serious kayak fishing! 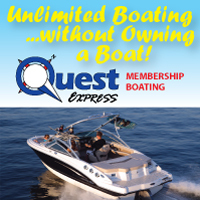 This boat comes with EVA Complete Deck Pads, a Lowrance Hook 5 Fish Finder, an Upgraded Rectangular Center Hatch with Storage Bucket, Spare Rudder Pins, and a Carrying Case for the Fish Finder, on top of all the upgrades standard to the Camo package (upgraded Large Rudder, Mirage Drive 180 with Turbo Fins, and more!). It's still every inch an Outback, with a time-tested hull that's an ideal blend of confident stability and smooth maneuverability. Yet more nimble than ever, thanks to the efficient reversing MirageDrive 180. The deck is designed around the marvelous Vantage CT seat to maximize stand-up space and storage. Cruise, camp, or catch. This Outback is packed full of fishing features!